Travel websites can help you before, during and after your trip. (BudgetTravel.com) -- The Web should make things easier for travelers, but the sheer volume of services out there is often more overwhelming than useful. Unfortunately, you don't always know which outfits pay off until you've already invested your time. The Budget Travel team puts websites -- new and established -- to the test every day. So when it came time to line up our favorites, the task was easy -- we just turned to the sites we keep revisiting because they're so darn helpful. Our top picks can help you avoid overpaying for airfare (Bing Travel), bag the primo room at a hotel (Hipmunk), and never miss a deal on a rental-car reservation again (AutoSlash). Some of our favorites are as useful as a mind-reading tour guide (Plnnr); others are as handy as having a personal secretary track your frequent-flier balances (Award Wallet). 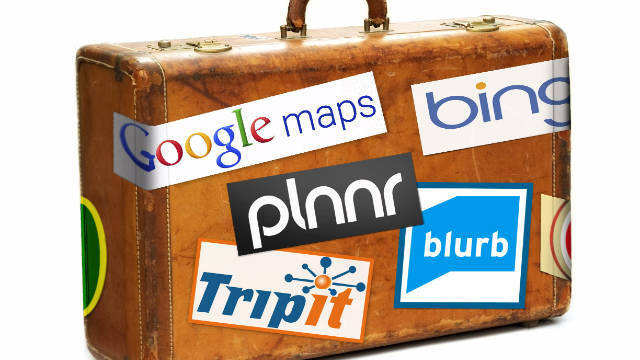 Put them all together, and they become Budget Travel's picks for the best the Web has to offer. Buy plane tickets at the best possible time. Like other booking sites, Bing lets you comparison-shop for tickets across more than a hundred sources. Yet unlike most other sites, it also analyzes historical data to predict whether the price you see on the screen today is likely to rise (or drop) in the coming week, clearly marking the bargains with a big, green Buy Now icon. What's more, Bing is the only airfare search site to have its predictions independently audited. With an accuracy rate of 75 percent, it's not perfect -- but those are better odds than blind guessing gets you. bing.com/travel. Lock in the lowest rate on rental cars. Here's how it works: Reserve a vehicle from a favorite agency through the AutoSlash site, and the site will instantly begin tracking rate changes for your reservation. If a sale pops up later -- snap! -- it automatically locks in the lower price on your behalf. You can even use AutoSlash if you've booked independently. Just enter your confirmation number, and the site will notify you when it's found a lower rate (which you'll have to rebook on your own). Neither AutoSlash nor the company you first booked with charges a fee for the service. autoslash.com. Determine the cheapest way to reach your destination. Coupon site befrugal.com crunches data from sources such as AAA and Google Maps to power its Fly or Drive estimator (found in the site's Tools & Calculators tab). The more details you supply -- the make and model of your car, the number of travelers in your group, whether you'd be springing for a taxi to the airport -- the more accurate the estimates. For the eco-minded, it even includes a carbon-footprint estimate for each mode of travel. (Note: The calculator only works for trips within the continental U.S.) befrugal.com/tools/fly-or-drive-calculator/. Get instant itineraries tailored to your tastes. Whether you have a full week or a few hours, Plnnr can craft a (free!) customized point-to-point trip guide for 20 popular urban destinations across North America and Europe. You supply the length of your stay, desired activity level, and interests (such as outdoors, kids' activities, and culture), and the site spits out a fully formed itinerary, factoring in each attraction's opening and closing hours and travel times between spots by taxi or on foot. You can further fine-tune the results by adjusting the priority level for even more specific subcategories -- architecture, breweries, and even cemeteries -- or reject individual suggestions outright. (Plnnr won't get its feelings hurt.) plnnr.com. Find a hotel you'll fall in love with. The folks behind Hipmunk's airfare and hotel searches know that good trips are about more than mere numbers. That's why they've incorporated an "agony" scale for flights with multiple legs and long layovers, and an "ecstasy" rating for hotels based on a combination of a property's amenities, rates, and user reviews on TripAdvisor. Even better, Hipmunk's hotel search tool has built-in color-coded heat maps to display a given destination's best spots for dining, shopping, nightlife, landmarks, and -- ahem -- "vice." So you'll always end up in a neighborhood that fits your specific needs (or noise tolerance). The site displays real-time prices available on Orbitz, Getaroom, Hotels.com, HotelsCombined, or Airbnb and links out to the appropriate site to close the deal. hipmunk.com. Keep every last confirmation number, arrival time, and prepaid reservation fee straight. Don't have an über-organized type among your travel crew? Don't worry. TripIt consolidates every important detail of your vacation into a single handy document, which you can access on the go via laptop, tablet, or smartphone. Just forward each email receipt from booking a flight, hotel, rental car, or cruise to your TripIt account, and the site will cull and compile the flight numbers, gate information, and other relevant items so you never show up in the wrong place at the wrong time -- or with the wrong confirmation code in hand. Not satisfied? The site also supplies seat-selection advice for flights, links to check in online, flight status updates, weather forecasts, and driving directions. tripit.com. Connect with the locals -- through a trustworthy community. While any old travel site can add some social-networking features and call itself "the Facebook of travel," Tripping paves the way for true face-to-face interactions in about 130 countries across the globe. Primarily a homestay network -- but just as effective for setting up a casual coffee meeting or a video chat with a looped-in local -- Tripping manages the risk factor with its stringent membership policies and strong user-reference system. (To join, users must display a passport via Skype and prove a home address.) When you're not traveling yourself, you can earn some good travel karma by playing tour guide for visitors to your own hometown. tripping.com. Thanks to constant refining by its mapmakers and graphic designers, Google's gold-standard mapping tool just keeps getting better. Live traffic information was recently added for 13 European countries; the site's maps for New York City, London, and other major cities now have public transit options; markings for tunnels and highway signs become easier to read every year; and you can plot your route by car, bicycle, or foot -- although the latter two options are still in beta. There's simply no more comprehensive and user-friendly way to explore. maps.google.com. Never let another frequent-flier mile expire. Consider it the loyalty-program counterpart to TripIt's travel-info collector. Award Wallet streamlines your family's assortment of frequent-flier and loyalty programs, compiling them in a single, simple, point-tracking package. The setup takes minutes. For each account, just enter your log-in information; Award Wallet automatically pulls your points balances and expiration dates -- so you know to take action if you're on the verge of losing them. And because the site saves your log-in information, you only need one password to access all your accounts. awardwallet.com. Preserve your photographs in a format that people can't keep their hands off of. Custom book publisher Blurb lets you design and print a soft-cover or hardcover travel photo album using impressive design tools and high-quality inks, paper, and binding. Most important, it also leaves you broad creative control. (No floral borders or faux photo-corners necessary.) Price is based on size, paper stock, cover material, and shipping fees, but single copies start at $11 for a 20-page book. Think your book has potential beyond your own coffee table? Blurb can also share your images as a free online slide show or sell copies of the book through its online shop. blurb.com. Back from a 3 month hiatus! BIG UPDATE TIME: I moved to LA for my new job and I'm loving it!!!! !